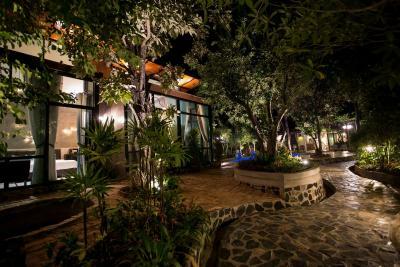 Lock in a great price for Foresto Sukhothai Guesthome – rated 8.8 by recent guests! Very nice rooms, clean, specious with classic look in cool and calm ambient. The manager or owner was great very attentive with great english. This was my second 3 day stay and I recomend the deluxe pool side room. I had room 2 and liked leaving the drapes open for view of greenery. LP amd others should give this a star! The room was spotlessly clean. Breakfast was great, with several set choices. The staff were friendly and helpful. Room very large very clean comfortable and quiet attractive. Staff very friendly and helpful. Great place and great value. The manager, Sun, helped us to explore the surrounding area by setting up transportation, reserving seats, having excellent information on options with price. The food is fresh, hot, and delicious. Perfect! The room has a very attractive modern design. The location was very quiet and near to good restaurants and transportation to the historic centre. Good wifi and breakfast. Attractive grounds and pool. Although around 20m from the Old City, the location was easy to get to. The hotel is nested in its own private lot and is very intimate. The rooms are clean, super private and spacious and the staff and service was excellent for this size hotel. Very friendly and helpful stuff. Easy to vome to the old city - bus nearby. 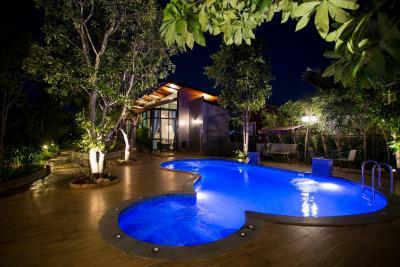 Wonderful swimming pool and beautiful rooms. 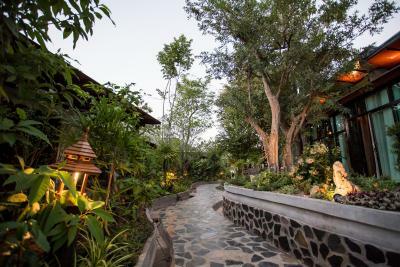 This guesthouse took us back in time, in an exotic garden with the pool, very large rooms, great breakfast, very helpful owner, all very laid back. 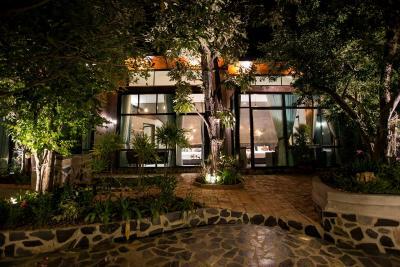 Foresto Sukhothai Guesthome This rating is a reflection of how the property compares to the industry standard when it comes to price, facilities and services available. It's based on a self-evaluation by the property. Use this rating to help choose your stay! One of our best sellers in Sukhothai! 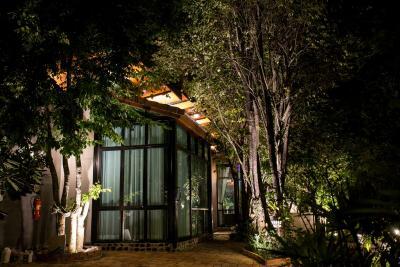 Located in the center of Sukhothai City, Foresto Sukhothai Guesthome features stylish accommodations with air conditioning and an on-site restaurant. Free Wi-Fi is available throughout the property. Foresto Sukhothai Guesthome is located 7.5 mi from Sukhothai Historical Park and 8.1 mi from Wat Sri Chum. Sukhothai Airport is 25 mi away. The residence offers free parking. Each well-decorated room has a private balcony and a sofa seating area. Other amenities include a flat-screen cable TV and a refrigerator. An private bathroom comes with shower facilities. At this property guests will find a garden and a bar. Other services offered include a laundry. For meals, enjoy authentic Thai cuisine served at the restaurant. This property is also rated for the best value in Sukhothai! Guests are getting more for their money when compared to other properties in this city. When would you like to stay at Foresto Sukhothai Guesthome? Featuring a private balcony, this air-conditioned room has a sofa seating area, a fridge and a mini-bar. 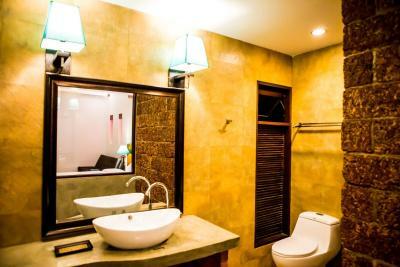 An private bathroom comes with shower facilities. Featuring garden views from a private balcony, this air-conditioned room has a sofa seating area, a fridge and a mini-bar. An private bathroom comes with shower facilities. This twin room features a balcony, air conditioning and sofa. This studio has a seating area, sofa and air conditioning. Foresto Sukhothai is simply accommodation in the center of new Sukhothai but very charming place for our guests. Like an Oasis place after your long trip day. House Rules Foresto Sukhothai Guesthome takes special requests – add in the next step! One child under 6 years is charged THB 100 per night when using existing beds. All children under 6 years are charged THB 200 per night for extra beds. Any additional older children or adults are charged THB 400 per night for extra beds. Guests who expect to arrive after 18:00 hrs are required to inform the property in advance with contact detail found on booking confirmation. Please note that the swimming pool is undergoing renovations from 01-31 October 2018. 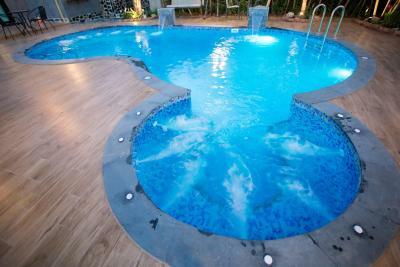 During this period, guests can still make use of the pool as usual. The pool needs some work doing, but it didn’t stop us enjoying a dip. 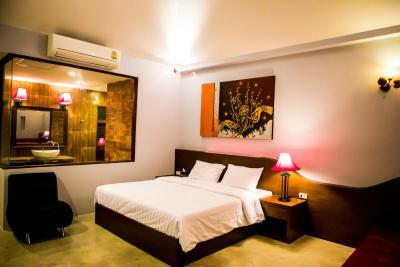 The room is extra large, bathroom the same, green all around, with nice terrace to set and enjoy the garden area, walking distance to all bars, resturants etc. The hotel is beautiful and super comfortable. Well located, close to main restaurants and a 7 eleven. Staff was very friendly and always helpful. Had a great time at foresto! Pool needs some work of maintenance. Bathroom and room were huge, staff very nice. Our bus depart late at night and they allows us to stay in the pool at night and they call a tuk tuk for us to go to the bus station. The hotel is very old and needs a renovation. The pool, the rooms, the bathroom, the Path, the restaurant,... they have to renovate it now!! There was a lot of garbage in front and around the hotel. There where a lot insects (ants) in the bathroom. You can other just one thing for breakfast. For extra's you must pay. The owner is to lazy to clean his area.. You need eardrops because the frogs make a lot of noise at night. There was a swimmingpool. The owner was friendly. The bed was the best in Thailand!!! The room is not bright so much. The swimming pool was a little bit outdated. Very spacious rooms. Good beds. Fine breakfast. Great staff, helped with everything. Will stay again here.